Salih Ghosh, the head of Sudan’s National Intelligence and Security Service [NISS], has resigned from his post, the country’s new military rulers said on Saturday. The resignation was accepted by “The chief of the transitional military council, Abdel Fattah al-Burhan,” the transitional military council said. 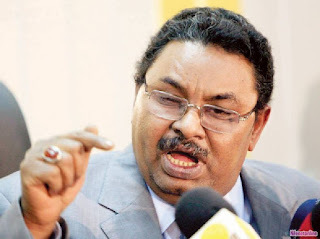 Bashir had appointed Salih as NISS chief in February 2018, which was the regime insider’s second stint at the post. His previous stint ended in August 2009. Salih, had worked on and off for NISS ever since the 1989 coup that brought Bashir to power, according to Sudanese media. He was credited with building NISS into one of the most important pillars of Bashir’s regime before his dismissal in 2009. Also he was later jailed on accusations of plotting a coup but no evidence was found against him and Bashir pardoned him.